Walking around Florence’s historic centre, you have of course noticed those lions with the Florence lily – there are many just in front of Santa Croce church; these heraldic lions are called Marzocco, and the most famous of them is the one created by Donatello, that you can see at the Bargello Museum. The strange name comes probably from the word Marte, whose Roman statue had previously been Florence’s emblem. 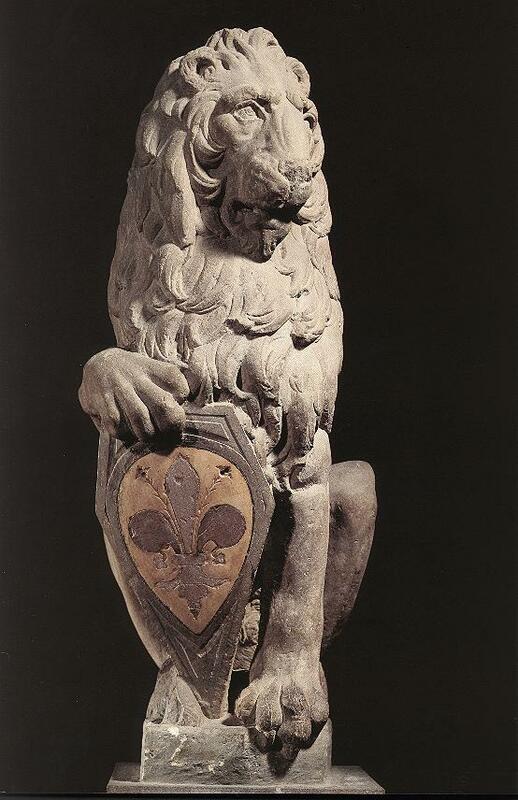 The lion is seated and with one paw supports the coat-of-arms of Florence, the lily. It had such a strong power that the Florentine troopers used to be called marzoccheschi, sons of the Marzocco. Donatello’s original, sculpted in the fine-grained gray sandstone of Tuscany called pietra serena, has been conserved in the BArgello since 1855. Discover Florence’s secrets with our art history courses!